The National Center of Space Research and Technologies of the Republic of Kazakhstan jointly with Fesenkov Astrophysical Institute has held an international workshop Advances in Space Research and Technologies during October 20-23, 2015. 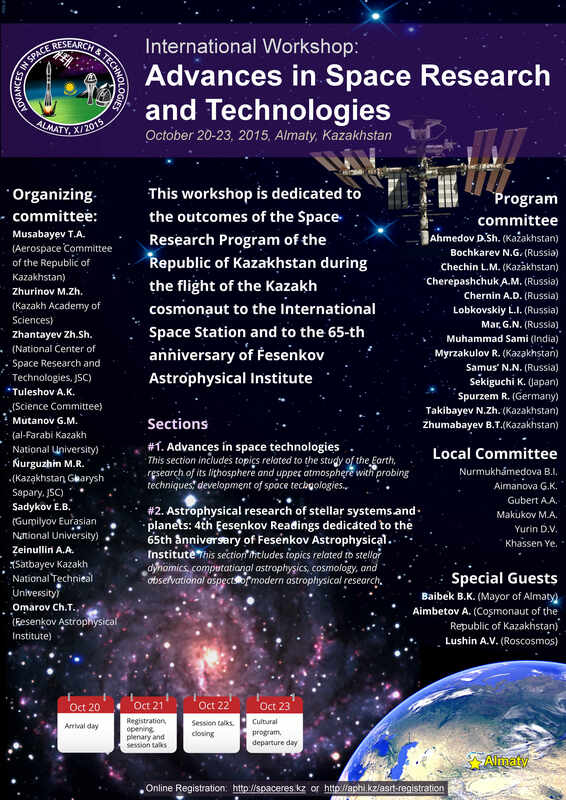 This workshop is dedicated to the outcomes of the Space Research Program of the Republic of Kazakhstan during the flight of the Kazakh cosmonaut to the International Space Station and to the 65-th anniversary of Fesenkov Astrophysical Institute. Institute of Ionosphere, Kamenskoe Plateau, 050020 Almaty, Kazakhstan. 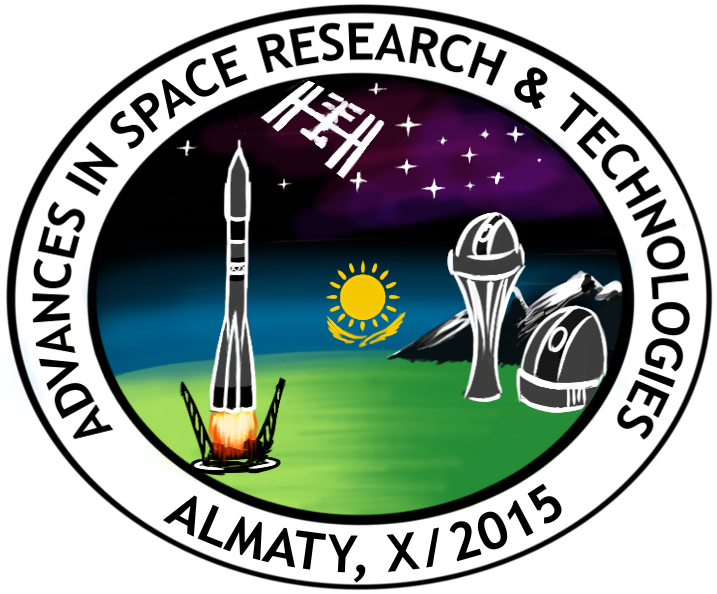 Section 2 Fesenkov Astrophysical Institute, Observatory 23, Kamenskoe Plateau, 050020 Almaty, Kazakhstan. Registration fee is 10 000 Kazakh tenge (KZT) and covers coffee-breaks and conference materials. The payment is upon arrival at the desk registration. Fees are waived for undergraduate and master students. There is a special transport orginzised to deliver participants for the opening of the workshop in the Institute of Ionosphere. Departure is on October 21 at 08:20 a.m. from Shevchenko street, 15 (near Dostyk avenue).